Spain is taking action to reduce the economic impact of rapidly increasing oil prices in part by increasing the allowable content of biodiesel for blending in transportation fuels. According to Spain’s Vice President Alfredo Pérez Rubalcaba, a €10 ($13.77) increase in the price of a barrel of oil equates to nearly a €6 billion ($8.26 billion) rise in the overall cost of energy. To help combat this increased energy spending, the government of Spain plans to enact three measures to be published March 4 and become active March 7. Regarding biodiesel content in transportation fuels, the government will increase the percentage of biodiesel from 5.7 percent to 7 percent. According to information posted on the government’s website, this measure is aimed at achieving fuel savings. The most recent statistics posted to the European Biodiesel Board’s website state that Spanish biodiesel plants produced approximately 859,000 tons (258 million gallons) of biodiesel in 2009. Only Germany and France produced more biodiesel that year. EBB statistics also note that Spain had approximately 4.1 million tons (1.2 billion gallons) of installed biodiesel capacity in 2010. 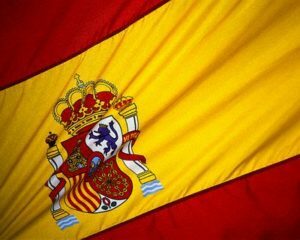 In addition to increasing the percentage of biodiesel blended into national transportation fuels, the Spanish government also intends to reduce highway speed limits from 120 kilometers per hour (74 miles per hour) to 110 kilometers per hour (68 miles per hour). According to information released by the government, this measure will reduce gas and diesel fuel consumption by a respective 15 percent and 11 percent. The price of many local and long-distance trains will also be reduced. The price reductions are designed to encourage increased use of mass transit systems, further reducing the nation’s fuel consumption.